Twirls and swirls of trendy colors highlight your notes for a can't-miss-it read. 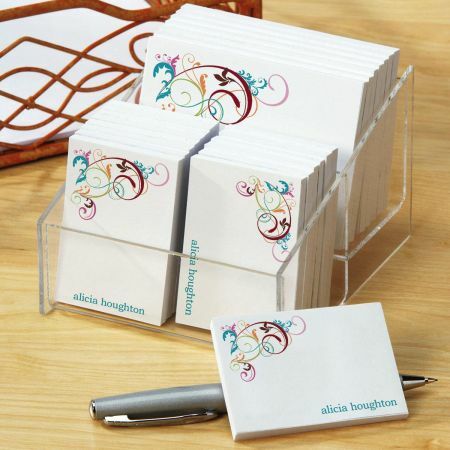 Personalized just as you specify, giant 30-pad Fantasia set includes 3 sizes to suit every need. 50 sheets each.